You may have noticed the postings have been very sparse lately. I'm not making any promises that it will get better until after Christmas. I am happy to say I've been working pretty solidly on holiday orders. However, last week, I had a project that required me to use stock photography. And now I have a new obsession. The person giving me the assignment suggested I use Getty Images, so for the first time I delved into the bajillions of photos in their library. There are many beautiful photos on the site, but there is also a bunch of really strange stuff. For example, I wonder what someone would need a photo of a metallic purple woman holding clock for. 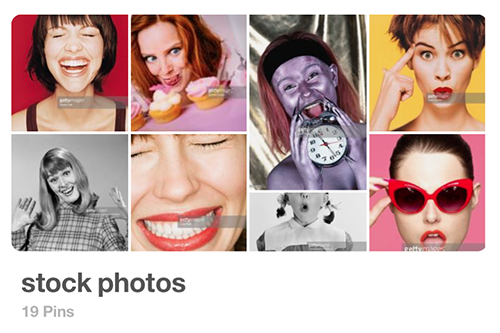 If you haven't had to use stock photography before, I highly recommend you hop on over to Getty Images and have a look. search literally anything. It's a magical rabbit hole. If you want to see what weird and wonderful things I've been finding, you can check out my Pinterest board here. Happy Monday!